Well, I've spent way too long spring cleaning all of my daughters areas (toys, books, clothes, room, closet, bathroom), then I used a lotion before reading the ingredients and it messed up my hands so I've been working on getting them back to where they need to be. They aren't 100% but I couldn't wait any longer. 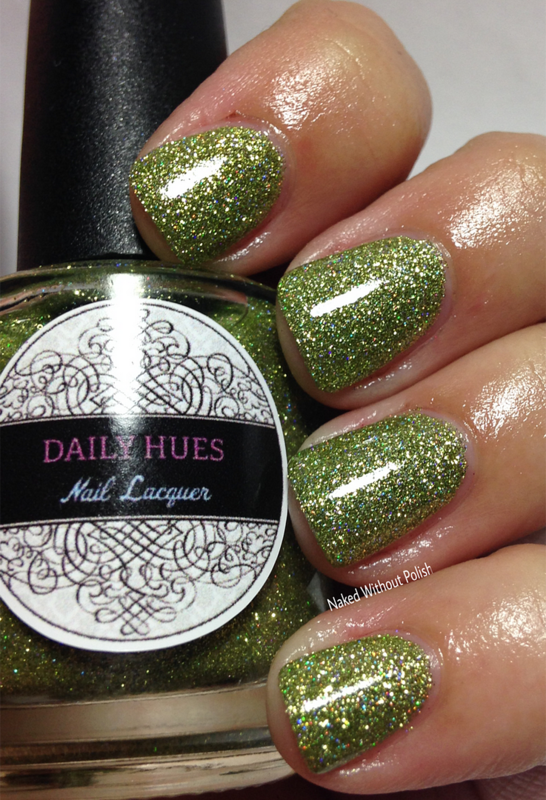 I got the spring cleaning done the other day so I was finally able to swatch the new Micro Glitter Collection from Daily Hues Nail Lacquer. Yeah, it was already released, but she was on vacation and her shop has been closed. Well, today she is opening back up. Of course I need to show it off!! 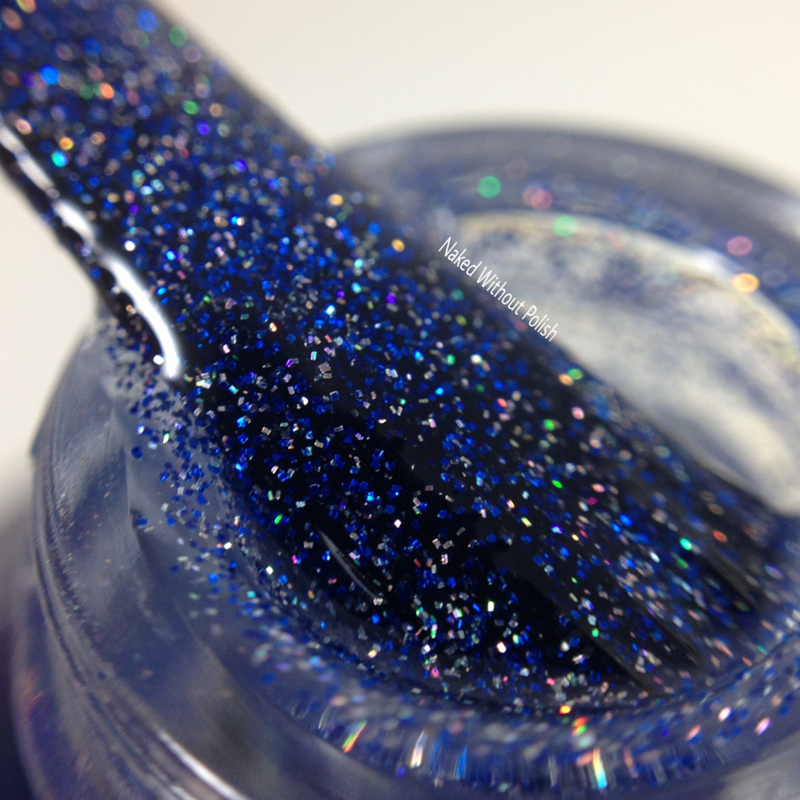 Hold onto your inner magpie, because there are some sparkles headed your way. 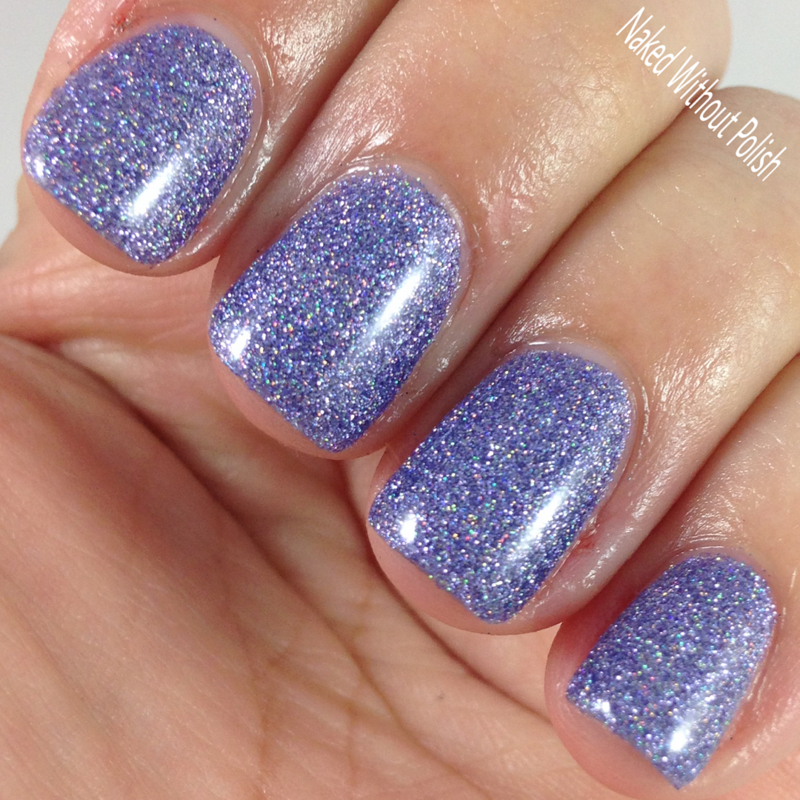 Heather is described as "a stunning amethyst holo micro glitter". Shown is three coats of Heather with top coat. 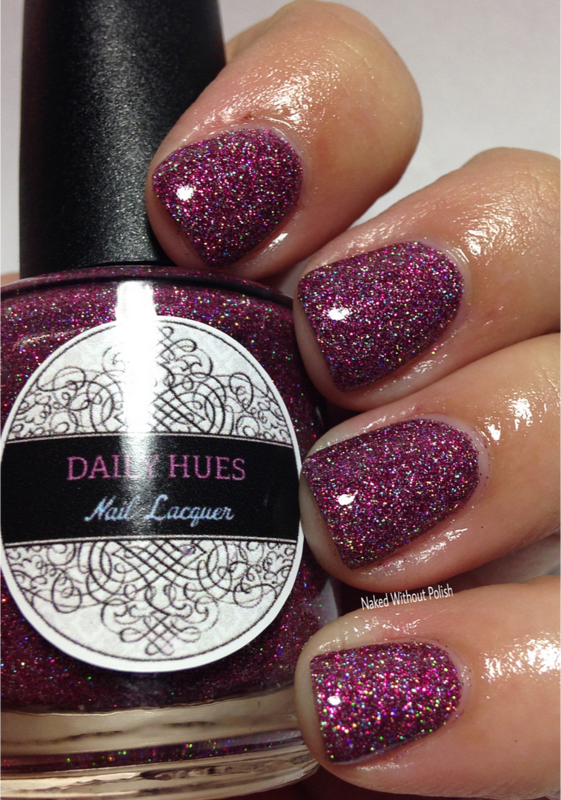 Amber is described as "a chestnut red holo micro glitter". Shown is three coats of Amber with top coat. 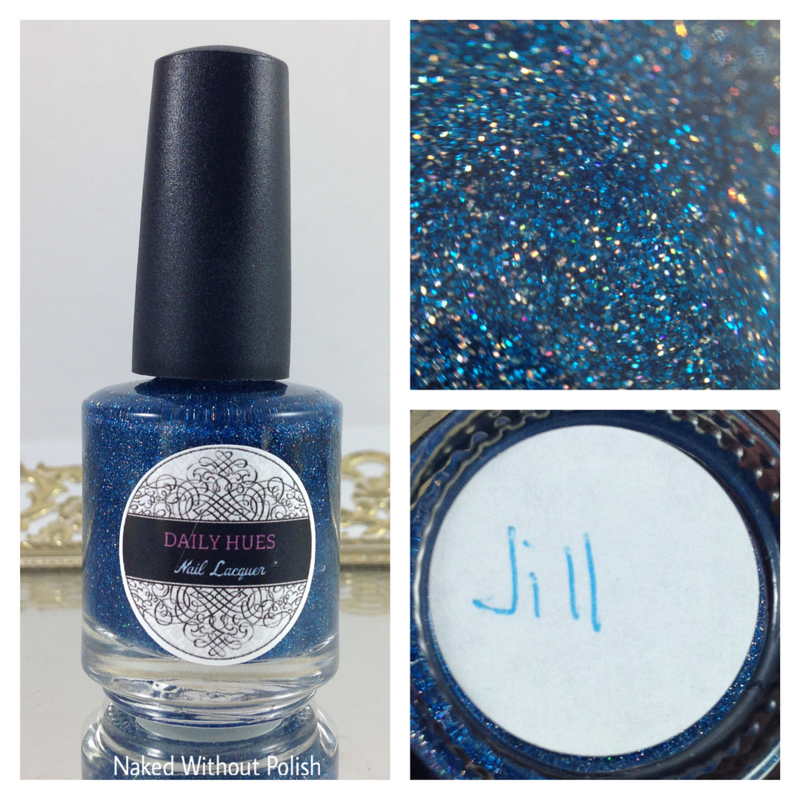 Jill is described as "a sapphire blue holo micro glitter". 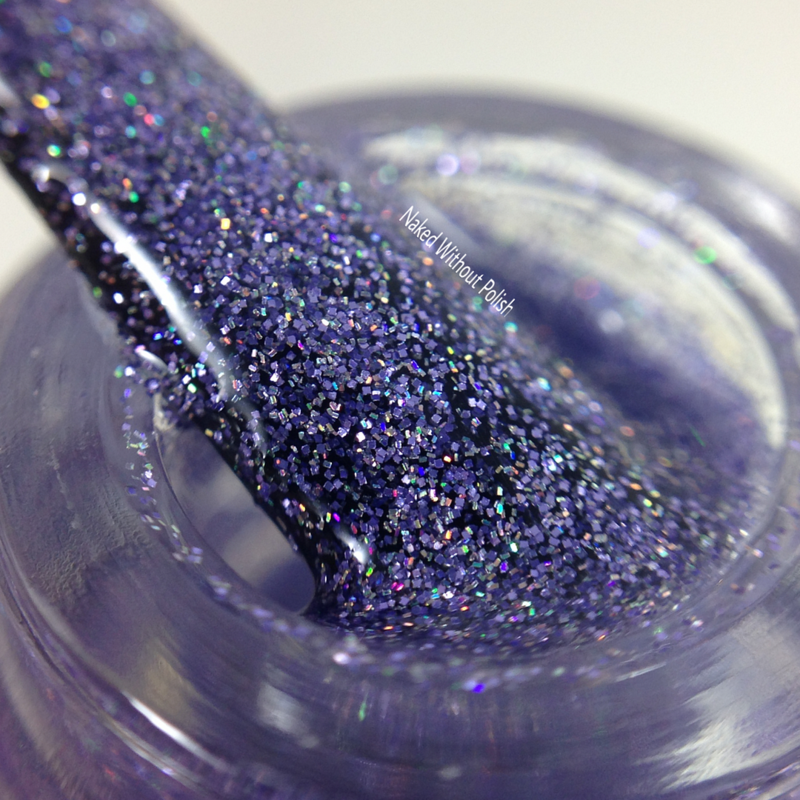 Shown is three coats of Jill with top coat. 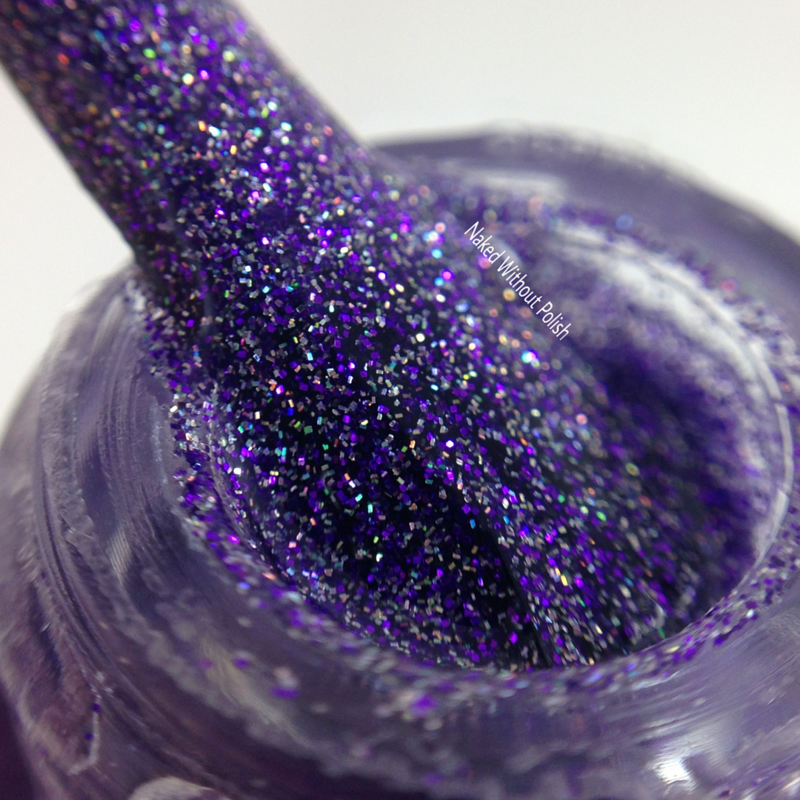 Paige is described as "a purple sage holo micro glitter". 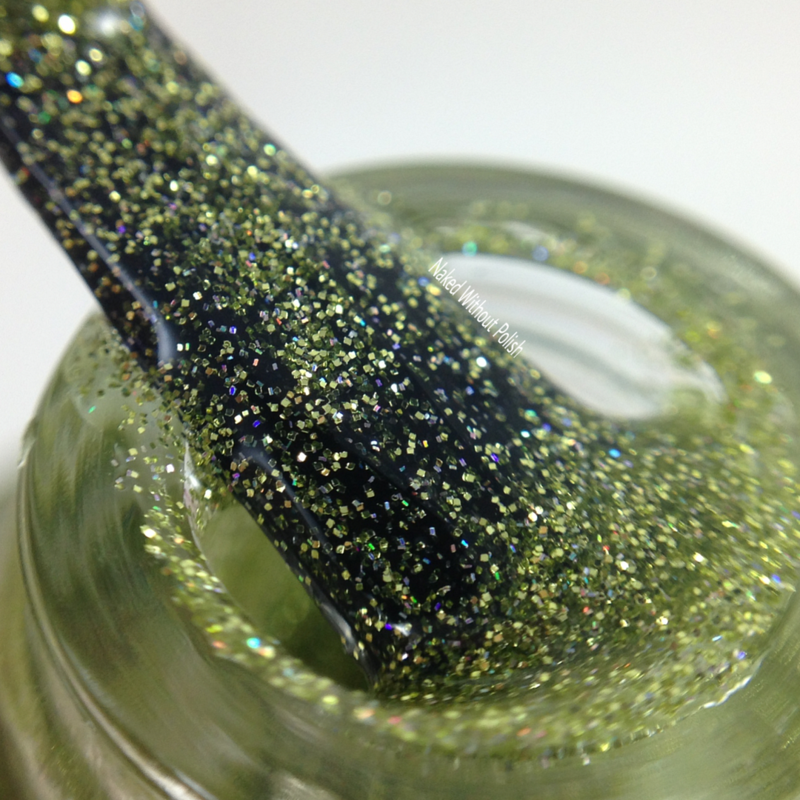 Shown is three coats of Paige with top coat. 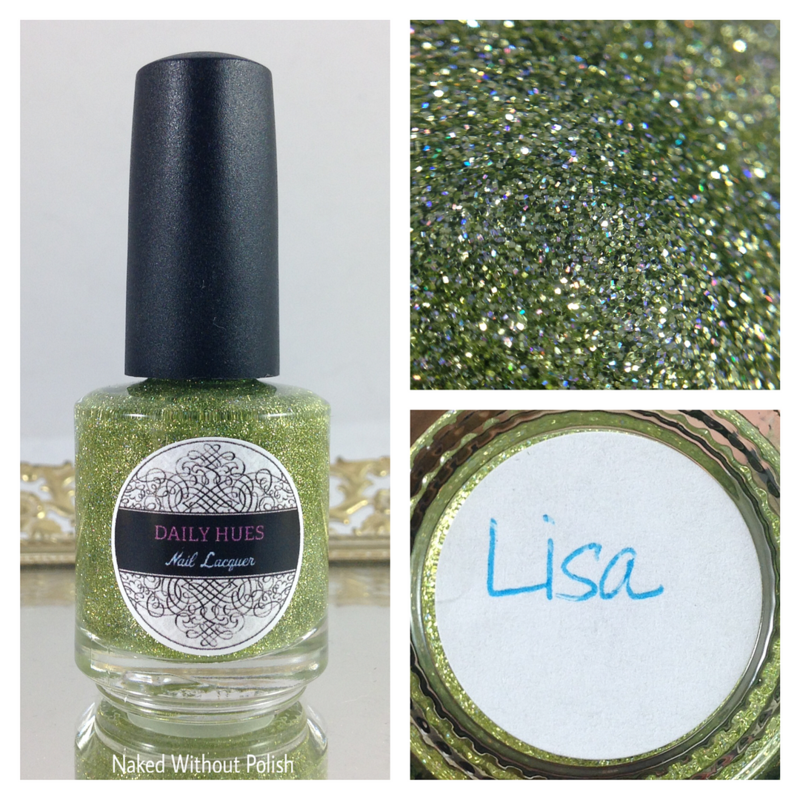 Lisa is described as "a pistachio green holo micro glitter". Shown is three coats of Lisa with top coat. 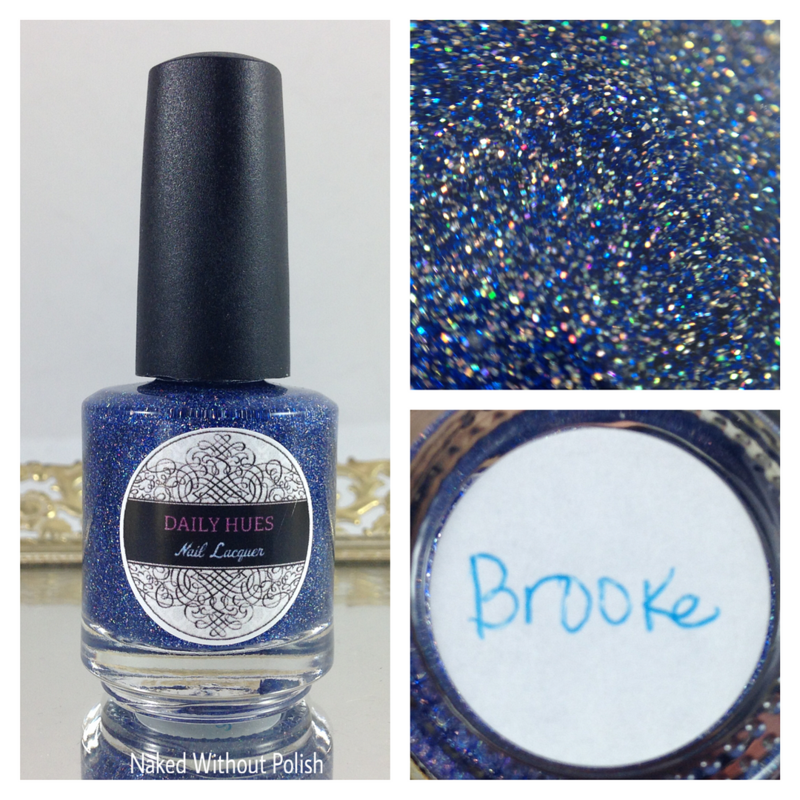 Brooke is described as "an earth blue holo micro glitter". 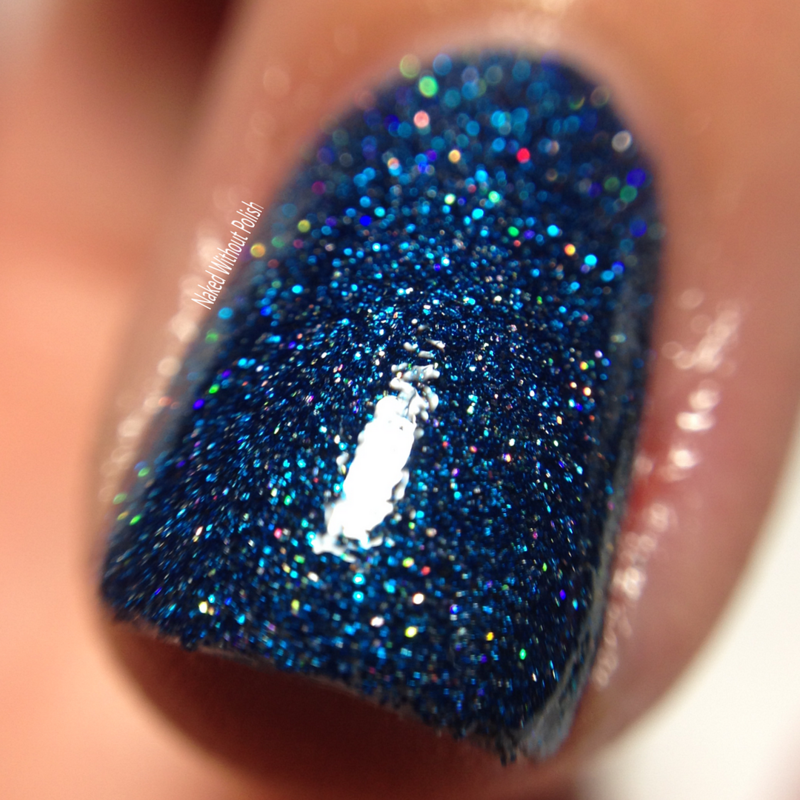 Shown is three coats of Brooke with top coat. 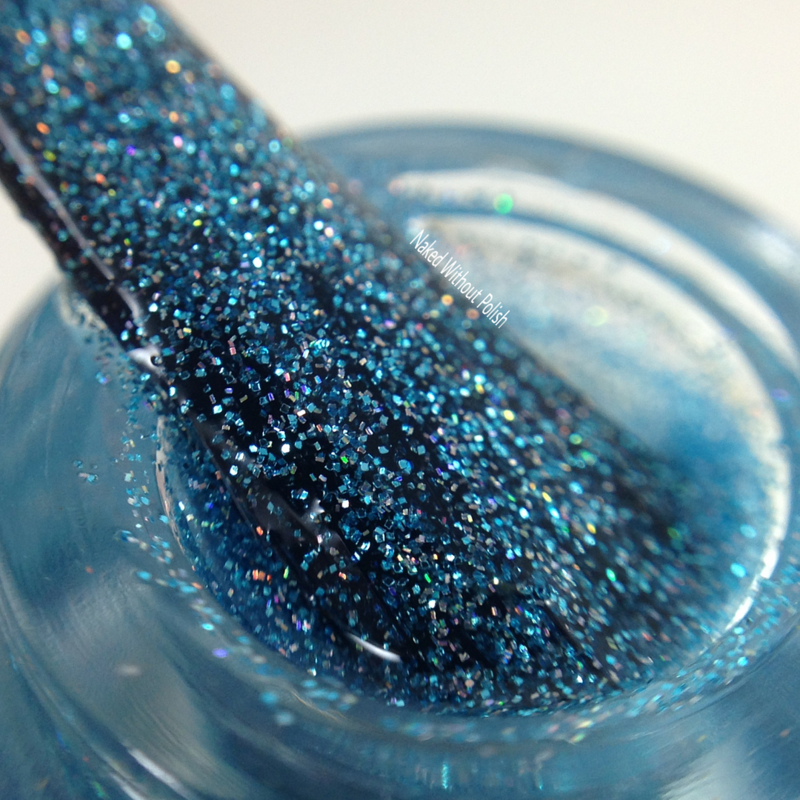 Kelsey is described as "an arctic blue holo micro glitter". 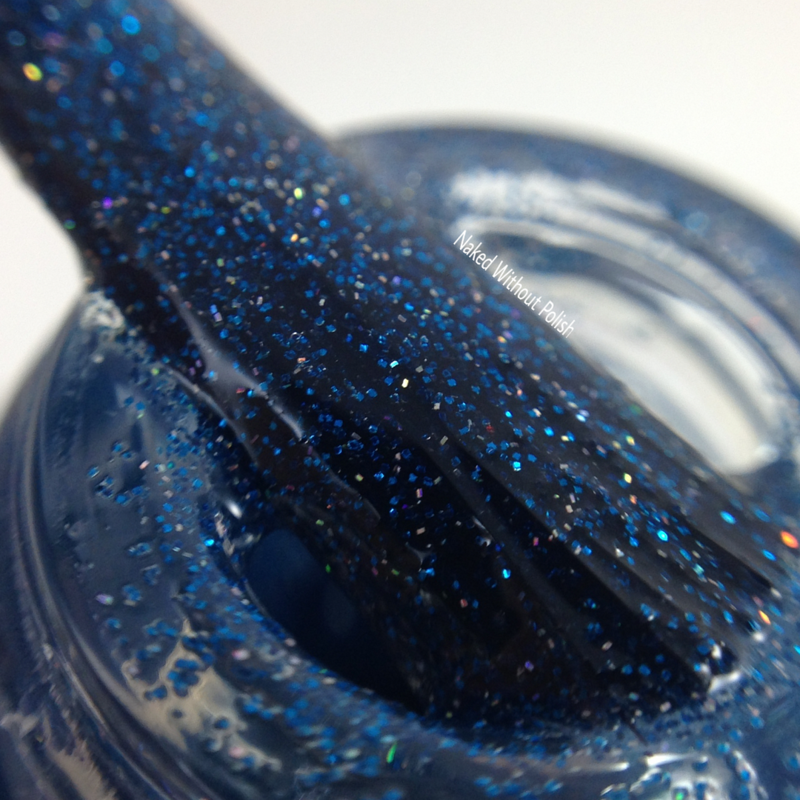 Shown is three coats of Kelsey with top coat. 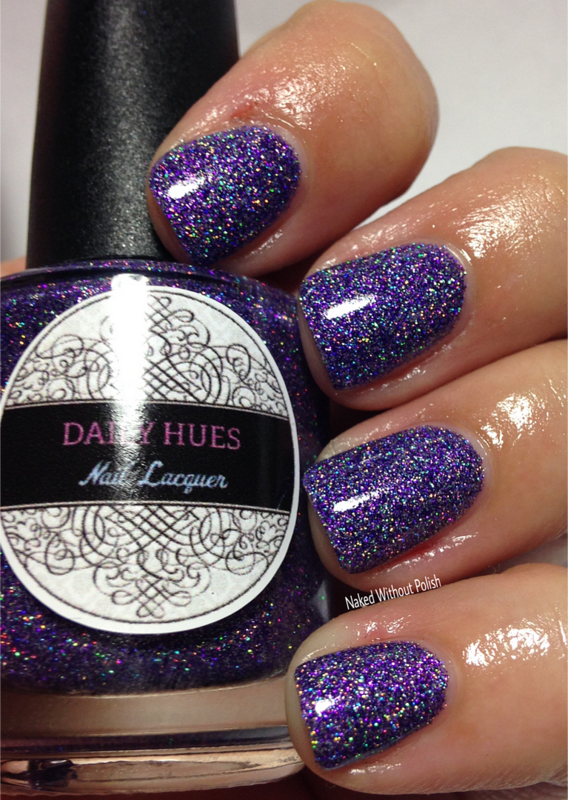 Each of these polishes is crazy pretty! 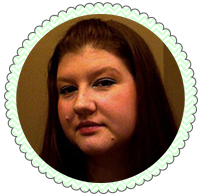 The formulas are a little thick, but not in a bad way. 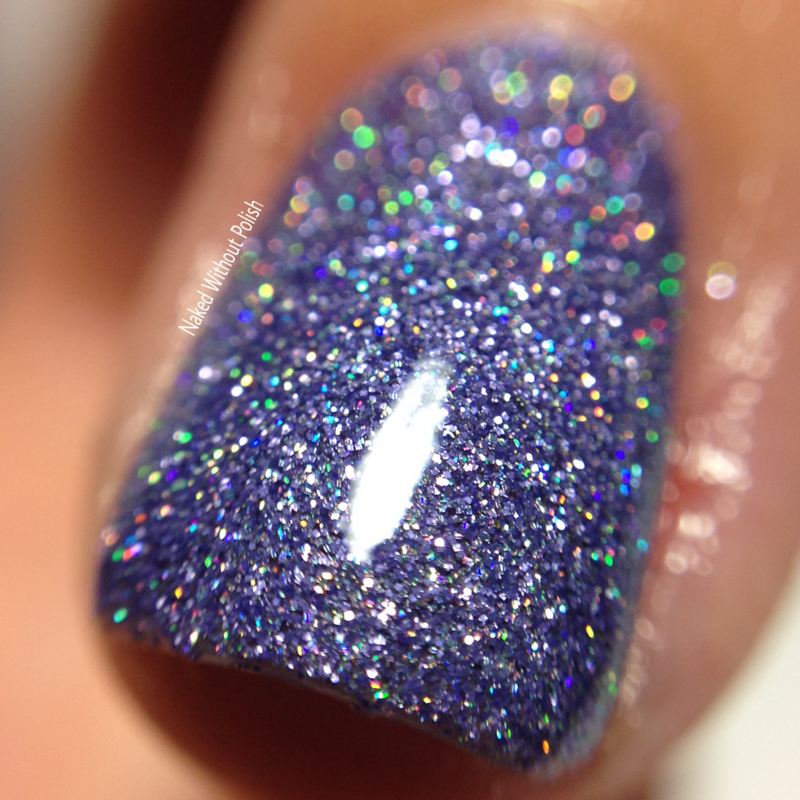 It's thick in a completely full of glitter way. I did super thin coats which is why I did three coats. If you're one who is ok with a longer dry time and does thicker coats, you could easily get away with two coats. Yes, technically her shop is still open, but she was out of the country for a while and spent the remainder of the time getting back into the swing of things. Her "official" re-opening is today at noon PST. 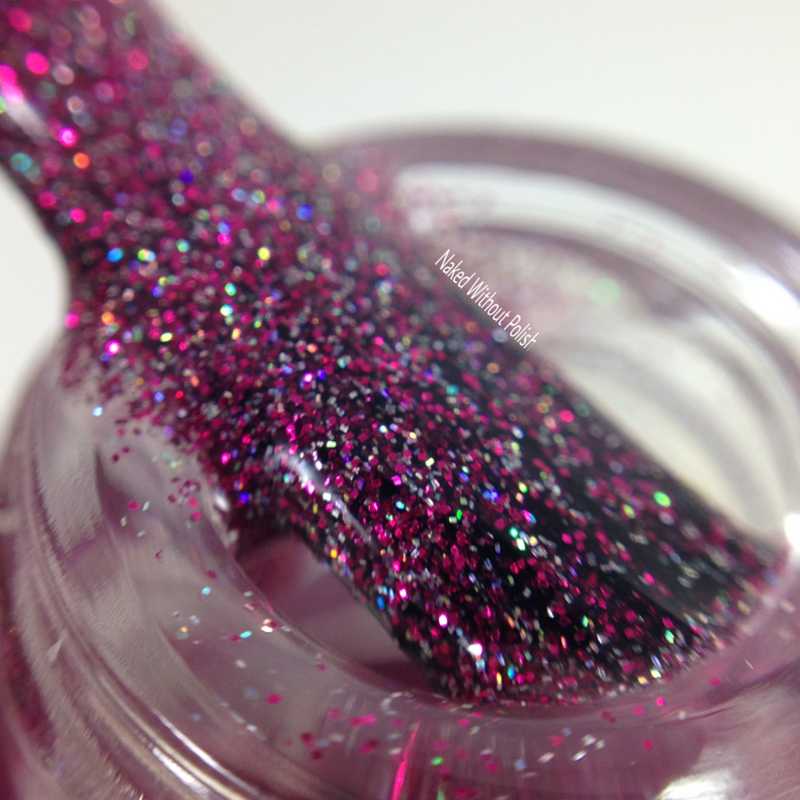 The Micro Glitter Collection will be available as a whole for $59 or individually for $9.50 a piece. 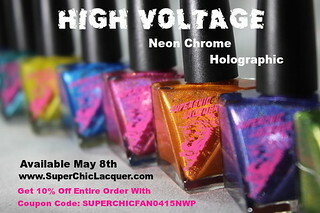 These are gorgeous and those of you who do nail art will have a lot of fun with these. 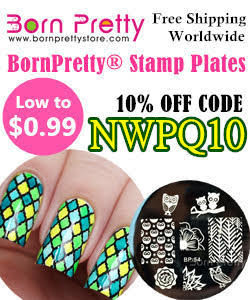 I'm sure they are easy to use in gradients and would make a great base for stamping or freehand nail art. Make sure you are following Daily Hues Nail Lacquer on all of her social media platforms (links below) to stay updated on news, releases, and sales. 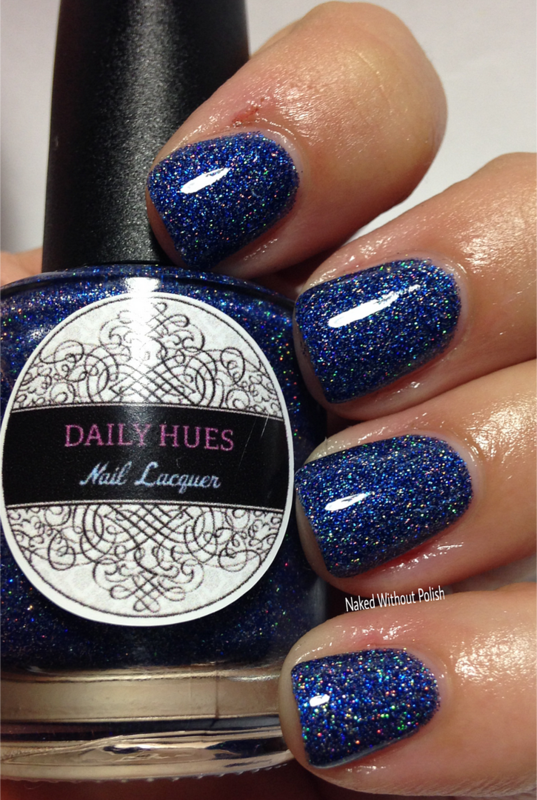 Are you a fan of Daily Hues Nail Lacquer? 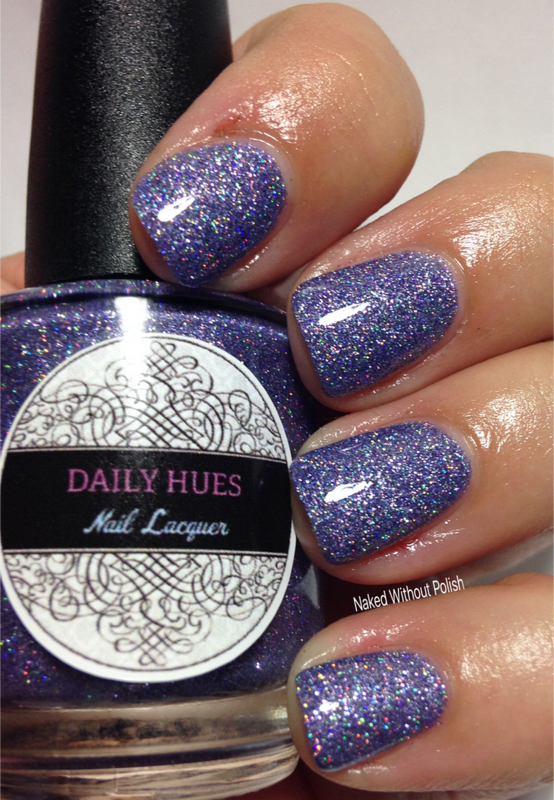 Do you have a favorite polish or did one of these catch your eye?